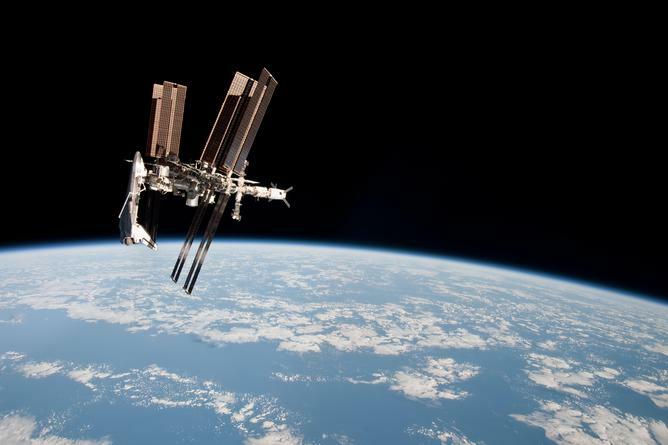 After a four-year competition, NASA has announced it has selected Boeing and SpaceX to take astronauts to the International Space Station (ISS). The contract – worth US$6.8 billion – was announced as part of NASA’s Commercial Crew Development program on which the US space agency has spent about $US1.5 billion since 2010 investing in partner companies. The contracts provide funding to get NASA certification of their rockets and capsules for safety and reliability. Boeing will be given $US4.2 billion and SpaceX $US2.6 billion. Once certification is complete, SpaceX’s Dragon and Boeing’s CST-100 will each fly between two and six NASA missions to and from the ISS. 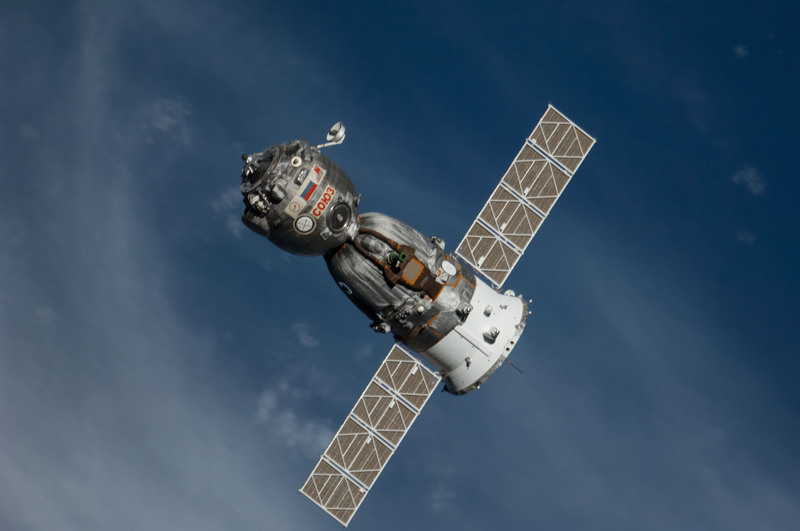 Soyuz TMA-12M spacecraft departs from the International Space Station heading back to a landing site in Kazakhstan. This announcement shows a preference for US companies and a return to launches from US soil following the termination of the Space Shuttle program as NASA has been relying on Russia to take astronauts to the ISS. We are one step closer to launching our astronauts from US soil on American spacecraft and ending the nation’s sole reliance on Russia by 2017. The current contract with Roscosmos, the Russian space agency, will expire in 2017. The recent rising tensions with Russia over its annexation of Crimea in Ukraine may have accelerated NASA’s efforts. It is believed Boeing and SpaceX are expected to have completed test flights by then. Space Exploration Technologies Corporation (also known as SpaceX) was founded in 2002 by PayPal founder Elon Musk. SpaceX has already shown its capacity by making successful flights to the ISS using its Dragon space capsule technology. In December 2010, SpaceX became the first privately funded company to successfully launch, orbit and recover a spacecraft. The Space Shuttle used to be the main transport to the International Space Station but its now been retied by NASA. Boeing, founded by William Boeing in 1916, has obviously extensive aerospace experience and will be contributing through its Crew Space Transportation CST-100 capsule. Boeing’s CST-100, a seven-seater capsule, will sit atop a United Launch Alliance Atlas 5 rocket launching it into space. SpaceX’s Dragon, also a seven-seater, will launch atop SpaceX-built Falcon 9 rockets. SpaceX’s Dragon V2 is designed to carry astronauts to Earth orbit and beyond. The capsules are designed to splash down – parachute into an ocean – and be reused. The move away from Russian technology has been further emphasised by Boeing’s deal with Amazon founder Jeff Bezos’s Blue Origin company to develop a new rocket engine – eliminating the reliance on Russian-made engines which power the Atlas 5 rocket. The announcement by NASA is of particular importance as it means that the “space runway” from the US to the ISS will rely on equipment owned and operated by private entities – which is a first. As was noted by the author in a previous article, US president Barack Obama made it clear there would be a shift to a more commercial approach to space travel back after budget cuts to NASA and the retirement of its Space Shuttle program. Boeing’s CST-100 spacecraft will carry astronauts from American soil to the orbiting laboratory. NASA’s chief Charlie Bolden is shifting its role towards exploration, testing and development of cutting-edge technology while outsourcing some activities – such as lower Earth orbit operations – to industry. Turning over low-Earth orbit transportation to private industry will also allow NASA to focus on an even more ambitious mission like sending humans to Mars. This will potentially result in human space transportation services being offered to external customers in addition to NASA. For example, Boeing has partnered with Bigelow Aerospace which is a company building commercial space station using inflatable modules – or “expandable habitats”. Bigelow hopes to serve a large range customers from university researchers to space tourists. In the mean time, NASA is currently working on very exciting projects such as the Space Launch System – which is a program looking at manned and unmanned space missions to the moon and back, also known as a trans-lunar trajectory, by late-2018; to a near-Earth asteroid around 2021; and eventually to Mars.